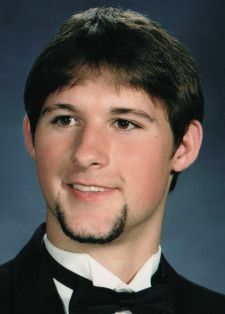 Grayson Haley Stone, 33, of 126 Stancliff Court in Eden, passed away Thursday, April 11, 2019, at his home. A memorial service will be held at 2 PM on Monday, April 15, at Fair Funeral Home Chapel. The family will receive friends one hour prior to the service (1 - 2 PM) at Fair Funeral Home. Grayson was born December 11, 1985 in Eden, NC. He was a graduate of Morehead High School, Class of 2004. After high school, he attended Rockingham Community College and later, GTCC, where he was part of the Honda Jet Aviation Program. Currently, Grayson was employed by FedEx in Greensboro. His favorite pastimes were playing softball, basketball, fishing, working out and spending time at the beach. He is survived by his parents, Lannie and Rhonda Norman Stone, of the home; brother, Chad Stone of Eden; maternal grandmother, Hazel Norman-Jones and husband, Bill, of Eden; uncle, Frank "Frankie" Norman, Jr. of Eden; aunt, Lori Hancock and husband, Roger; and numerous cousins. He was preceded in death by his maternal grandfather, Frank Norman and paternal grandparents, Lanford and Peggy Stone. Memorial contributions may be made to National Suicide Prevention Lifeline at Vibrant Emotional Health, 50 Broadway, Fl 19, New York, NY 10004.